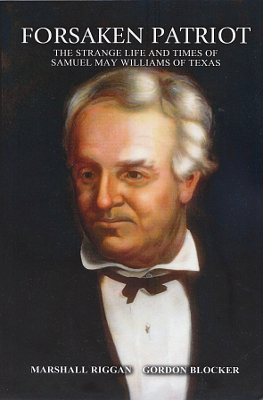 Description: Samuel May Williams was a Nineteenth Century entrepreneur and associate of Stephen F. Austin who was instrumental in founding the City of Galveston, founder of the first commercial bank in Texas, Father of the Texas Navy, and an independent financier of the Texas War for Independence. Though his contributions to Texas history are undeniable, some have judged him a scoundrel and profiteer. As the book notes, even the pirate Jean Lafitte has an elementary school named after him, but Samuel May Williams has passed from memory as "one of the most controversial, the most hated, and the most misunderstood character to walk the pages of Texas history." 201 pages, with B&W illustrations. Viewed: 2,188 times since July 31, 2015.